Sécurité – Page 2 – To Linux and beyond ! Backlog system: temporary store SQL query in memory if database is down. Ring buffer system: a special mode with a thread to read data from kernel and a thread to do the SQL query. The first mode is attended for preventing data loss when database is temporary down. The second one is an attempt to improve performance and the resistance to netlink buffer overrun problem. The modification has been done in the database abstraction layer and it is thus available in MySQL, PostgreSQL and DBI. To activate this mode, you need to set the backlog_memcap value in the database definition. The backlog system will prevent data loss by storing queries in memory instead of executing them. The waiting queries will be run in order when the connection to the database is restored. To activate this mode, you need to set ring_buffer_size to a value superior to 1. The value stores the number of SQL requests to keep in the ring buffer. The ring_buffer_size has precedence on the backlog_memcap value. And backlog will be disabled if the ring buffer is active. If the ring buffer mode is active, a thread will be created for each stack involving the configured database. It will connect to the database and execute the queries. The idea is to try to avoid buffer overrun by minimizing the time requested to treat kernel message. Doing synchronous SQL request, as it was made before was causing a delay which could cause some messages to be lost in case of burst from kernel side. Feel free to test it and don’t hesitate to provide some feedback! I’ve been recently working for a customer which needed consultancy because of some unexplained Netfilter behaviors related to ICMP error messages. He authorizes me to share the result of my study and I thank him for making this blog entry possible. His problem was that one of his firewalls is using a private interconnexion with their border router and the customer did not manage to NAT all outgoing ICMP error messages. The DMZ is in a private network. The router has a route to the public network via the firewall and the public network address do not exists. The interconnection between the router and firewall is made using a private network. Let’s say 192.168.42.0/24 and 192.168.42.1 for the firewall. 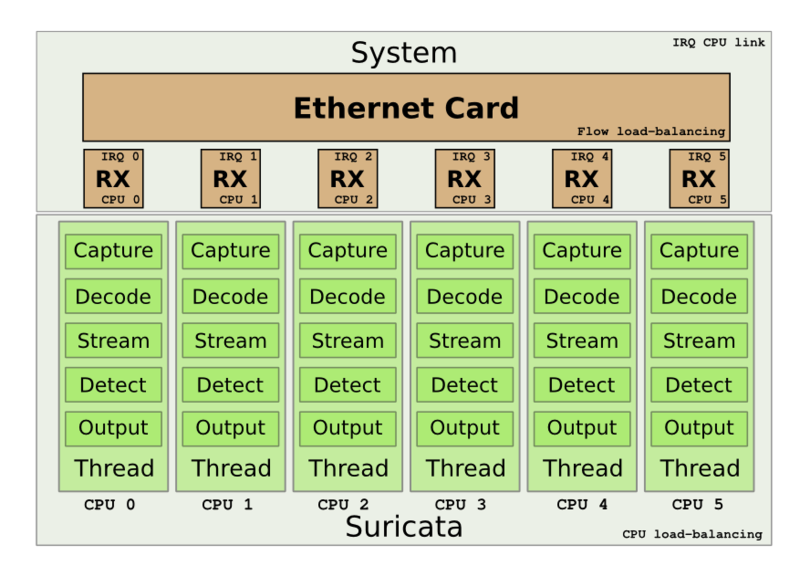 The interface eth0 is the one used as interconnection interface. If 192.168.1.X is NATed then the ICMP unreachable message is emitted and seen as coming from 1.2.3.X on eth0. If 192.168.1.Y is not NATed then the ICMP unreachable message is emitted and seen as coming from 192.168.42.1 on eth0. So, a packet going to 192.168.1.Y results in a ICMP message which is not routed by the router due to the private IP. But this rules has no effect on the ICMP unreachable message. as such, it uses the best local source address possible. In our case the best address is 192.168.42.1 because the packet has to get back through eth0. At current stage, there is no difference between the two ICMP packets and the result should be the same. But if nothing is done, the packet to X will result in a packet going to the original source and containing the internal IP information: the packet has been NATed so we have 192.168.1.X and not the public IP in the original packet data contained in the ICMP message. This is a real problem as this will leak private information to the outside. Hopefully, the packets are handled differently due to the ICMP error connection tracking module. It searches in the payload part of the ICMP error message if it belongs to existing connection. If a connection is found, the IMCP packet is marked as RELATED to the original connection. Once this is done, the ICMP nat helper makes the reverse transformation to send to the network a packet containing only public information. For packet to X, the source addresses of the ICMP messages and payload are modified to the public IP address. This explains the difference between the ICMP error message sent because of packet sent to X or sent to Y. But this does not explain why the NAT rules inserted by the customer did not work. In fact, the response was already made: the ICMP packet is marked as belonging to a connection related to the original one. Being in a RELATED state, it will not cross the NAT in POSTROUTING as only packet with a connection in state NEW are sent to the nat tables. And it logs an ICMP error message when we try to reach 1.2.3.4. This can be really useful to see what transformation are made by the connection tracking system. But this does not work in your case because the icmp message does not trigger any connection creation and so no event. In the raw TABLE, in PREROUTING the policy is applied (here ACCEPT). In nat PREROUTING the first rule is matching (a mark rule) and the second one is matching too. Finally in FORWARD, the first rule is matching (here the REJECT rule). TRACE is only following the initial packet and thus does not display any information about the ICMP error message. So Netfilter’s behavior is correct when it translate back the elements initially transformed by NAT. The surprising part comes from the fact that the NAT rules in POSTROUTING are not reach. But this is needed to avoid any complicated issue by doing multiple transformation. Regarding interconnexion with router, you should really use a public network if you want your ICMP error messages to be seen on Internet. Mother Nature has been really unfair with me. It has given me two strong interests in life: building things and information security. Once that was done, my doom was sealed and I’ve become a infosec defense guy. Nowadays this is one of the worst fate possible in computer science. It is not that bad. You could have been a Microsoft Exchange administrator. And they are right. I’m doing really interesting things and taking a lot of pleasure at doing them. The point is not here. It is on the way information security community is evolving. It is cheering the offensive guys and as everybody want to be loved this lead to absurd and dangerous behaviors. And this is just becoming worse every day. My last example is a conference given at Blackhat by Antonios Atlasis, Chief/Research at Center for strategic cyberspace + security science. The talk is advertised on CSCSS website which is a first sign of the importance of infosec circus for this kind of entity. But let’s get back to the main issue. The talk is showing some results of a study made by Mr. Atlasis on security impact of IPv6 extension headers. Among the result, successful evasion of two well-known IDS: snort and Suricata. And this completely pissed me off. That’s not a real excuse. O-day sellers are just blackhats in suit. Or to be more accurate as I know some of them don’t wear suit, blackhats doing public business thanks to the legal void on the selling of cyberweapons. A guy working for a not-for-profit organization has to be a whitehat. I think this is even mandatory in the USA as it seems the not-for-profit organization must act for public good. Yes, being a defensive guy is not fair. You build huge and complex structure and all the light (and sometime the money) is for the one who demonstrate how one of the thousand engines you’ve build can be abused. And this is the climax when the guy disrespects you by not letting you a chance to fix the issue before it goes public. Following my talk at SSTIC, I’ve released a new tool called opensvp. Its aim is to cover the attacks described in this talk. It has been published to be able to determine if the firewall policy related to Application Layer Gateways is correctly implemented. Abusive usage of protocol commands: an protocol message can be forged to open pinhole into firewall. Opensvp currently implements message sending for IRC and FTP ALGs. Spoofing attack: if anti-spooofing is not correctly setup, an attacker can send command which result in arbitrary pinhole being opened to a server. It has been developed in Python and uses scapy to implement the spoofing attack on ALGs. For usage and download, you can have a look at opensvp page. The attack against helpers is described in the README of opensvp. 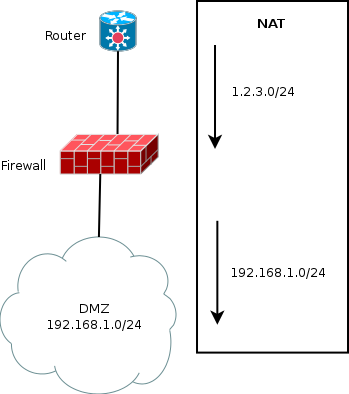 The document “Secure use of iptables and connection tracking helpers” was published some months ago and it describes how to protect a Netfilter firewall when using connection tracking helpers (the Netfilter name for ALGs). Les transparents de ma présentation du SSTIC sont disponibles : Utilisation malveillante des suivis de connexions. Merci aux organisateurs du SSTIC d’avoir accepté mon papier! L’outil de test openvsp est disponible sur cette page. Scapy BPF filtering is not working when some exotic interface are used. This includes Virtualbox interface such as vboxnet. build_filter = "src host %s and src port 21"
To fix this, you can use the lfilter option. The filtering is now done inside Scapy. This is powerful but less efficient. Tanks a lot to Guillaume Valadon for the tips! The slides of my CansecWest talk can now be downloaded: Playing with Network Layers to Bypass Firewalls’ Filtering Policy. First video demonstrates how to use forged IRC protocol command (DCC request) to be able to open connection to a NATed client from internet. Second video demonstrates the effect of the attack on helpers on a non protected Netfilter Firewall. Third video demonstrates the effect of the attack on helpers on a badly configured Checkpoint firewall. More information will come in upcoming posts. 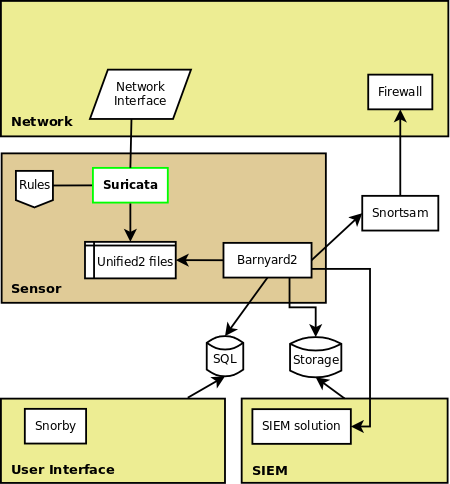 Suricata is an IDS/IPS engine. To build a complete solution, you will need to use other tools. Suricata is used to sniff and analyse the traffic. To detect malicious traffic, it uses signatures (or rules). You can download a set of specialised rules from EmergingThreats. To analyse the alerts generated by Suricata, you will need an interface such as, for example, snorby. But this interface will need to have an access to the data. This is done by storing the alerts in a database. The feed of this database can be done by barnyard2 which take the files outputted by suricata in unified2 and convert and send them to a database (or to some other format). If you want counter-measure to be taken (such as blocking for a moment attacker at the firewall level), you can use snortsam. More complex setup can include interactions with a SIEM solution. Following the presentation I’ve made during the 8th Netfilter Workshop, it was decided to write a document containing the best practices for a secure use of iptables and connection tracking helpers. This document called “Secure use of iptables and connection tracking helpers” is now available on this site. It contains recommendations that should be followed carefully if you are the administrator of a Netfilter/Iptables or the developer of a Netfilter based software.